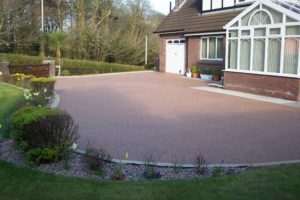 Thinking of a new driveway or maybe upgrading your existing surface? Lay a SureSet driveway over existing surfaces, such as asphalt or concrete for a quick, easy way to boost your kerb appeal. Complement or contrast your home with our huge choice of colours. Use SureSet to harmonise with other materials around your driveway such as block paving, brick, paving slabs, decking, gravel, crazy paving, pattern-imprinted concrete, sand-stone and granite setts. Personalise your driveway by adding colour or a design. Other customers have included words, a star and even paw prints in theirs. Camouflage unsightly drains and manhole covers for a seamless look to your driveway. This might sound a little off the wall, but in cold countries underfloor heating is installed with driveways to speed up thawing. Light up your project and amaze your neighbours by incorporating lights into the surface. Include surrounding trees into your driveway design with a SureSet tree–pit; allowing water to reach the roots, providing protection and the flexibility to allow growth. Yes it can. SureSet can even be designed for heavy traffic. Yes, it is. Watch our online maintenance video to see for yourself how easy it is. SureSet permeable paving comes with a 21 year Guarantee, however our own experience and knowledge suggests it will last in excess of 25 years. How much does a SureSet driveway cost? Your project is unique to you and so individually priced. We take into account your location, size of your driveway and the stone you choose. All of our quotes are free, with no obligation and can be arranged by contacting us. A SureSet resin bound driveway can be laid on a new base and existing asphalt and concrete (in reasonable condition). More detailed information about suitable bases for SureSet. Read more about our driveways and download a brochure, maintenance guide or specifications. 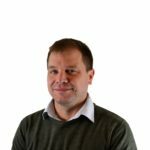 Since the devastation of the 2007 floods, caused by surface water runoff and not overflowing rivers, permeable paving has never been so popular. A fully SuDS compliant SureSet residential driveway combines functionality, practicality and good looks.